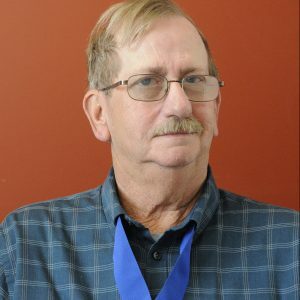 Dave Simmons was elected Director at Large at VVA’s 18th National Convention in New Orleans, La. Simmons enlisted in the U.S. Army in 1969. He first served in Vietnam with the 196th Light Infantry Brigade, Americal Division, and then joined the 71st Assault Helicopter Company as a door gunner. In 1970, Simmons returned to Fort Dix and trained to be a drill sergeant before his honorable discharge in 1972. Simmons joined VVA in 1994, serving as a delegate to the VVA National Convention in 1995 and every convention since. He has served as president of VVA Chapter 37 in Charleston, W.Va., and later became vice president of VVA Chapter 985 in Bramwell, W.Va. In 2010, Simmons became president of the West Virginia State Council. Simmons has been honored with a VVA Achievement Medal and a VVA Commendation Medal. He has served as task force chair for VVA’s Veterans Against Drugs Program for nearly a decade, and sits on Sen. Joe Manchin’s antidrug advisory committee. Simmons serves on VVA’s Incarcerated and Minority Affairs committees, is active with Gold Star families, and has received a Medal of Honor from the Chapel of Four Chaplains. Simmons was raised in Severna Park, Md. He married his junior-high sweetheart, Elaine, 29 years ago; together, they have four children, seven grandchildren, and a great-granddaughter. They are also the proud parents of two service dogs, LZ and Tam Ky.